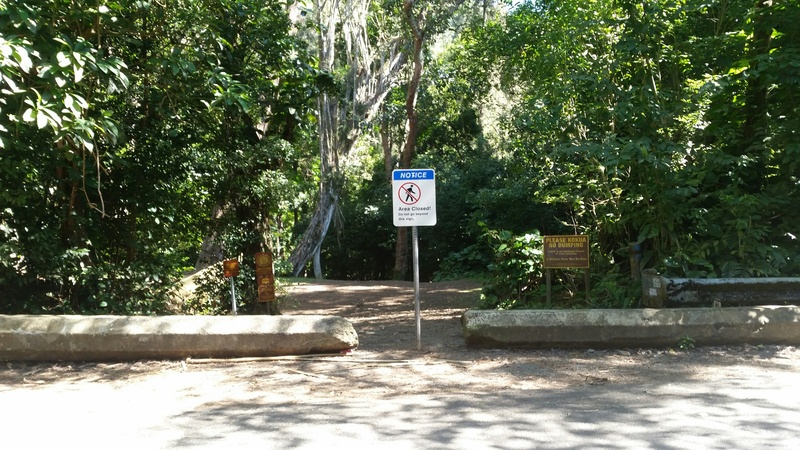 HONOLULU – The Department of Land and Natural Resources today posted the Judd hiking trail off Old Pali Road on Oahu as “CLOSED” until further notice due to a banyan tree which fell across the trail and Nuuanu stream this morning. A woman hiking the trail with eight companions was reportedly injured by the falling tree and assisted by Honolulu Fire Department. She was taken to a local hospital by Emergency Services in serious condition. No other injuries were reported. DLNR Enforcement division will further investigate this event. DLNR trails program will bring in an arborist tomorrow to assess the fallen tree to try to determine the cause of the tree fall, and whether it is safe for state trails crews to remove the tree. The trail is now closed for public safety until tree removal can be completed.